Easily create a literature pocket on any flat surface! Assembled (pre-formed) versions are ready to go. Remove liner and attach! Clip Strip Corp. carries a host of different sized peel and stick flat and pre-formed literature and brochure pockets to help retailers, brands and professional service providers meet their printed material distribution needs. 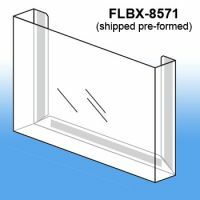 All are made of clear plastic and provide marketers a quality and affordable solution to their communications needs. 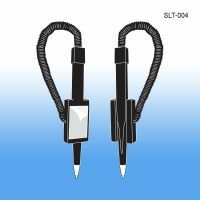 Need a COILED TETHER PEN on or next to your literature holders for customers or staff to fill out forms and/or paperwork? Our SLT- 004 pen holder is an easy, affordable solution. 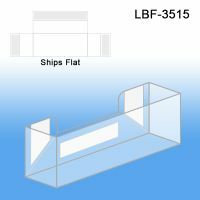 Minimum quantity for "Flat Peel & Stick Business Card Literature Holder, LBF-3515" is 25. 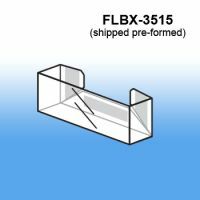 Minimum quantity for "Pre-Formed Peel & Stick Business Card Literature Holder, FLBX-3515" is 25. 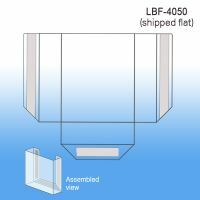 Minimum quantity for "Flat Peel & Stick Literature Holder, LBF-4050" is 25. 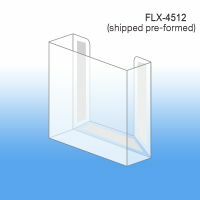 Minimum quantity for "Pre-Formed Peel & Stick Literature Holder, FLBX-4512" is 25. 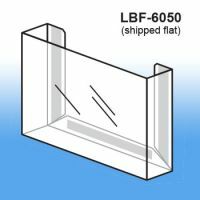 Minimum quantity for "Flat Peel & Stick Literature Holder, LBF-6050" is 25. 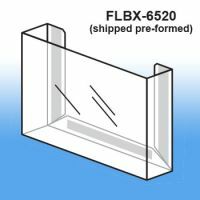 Minimum quantity for "Pre-Formed Peel & Stick Literature Holder, FLBX-6520" is 25. 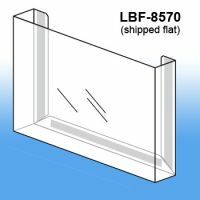 Minimum quantity for "Flat Peel & Stick Literature Holder, LBF-8570" is 25.